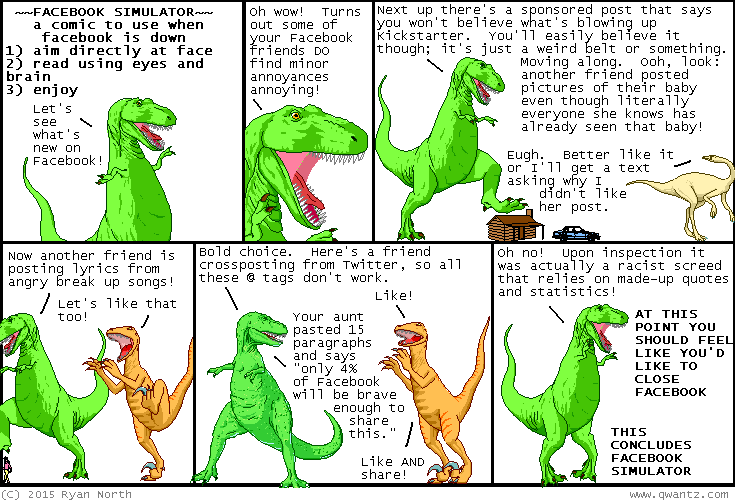 Dinosaur Comics - November 18th, 2015 - awesome fun times! November 18th, 2015: Can Facebook TRULY be replaced by a 58kb png file? This creator of the 58kb png file says: yes!